Located on the magnificent coast of Southwestern Oregon, at the mouth of the mighty Rogue River. Gold Beach has a long and fascinating history which features Native American culture, fur trappers from Europe, pioneers, loggers, miners and fisherman. 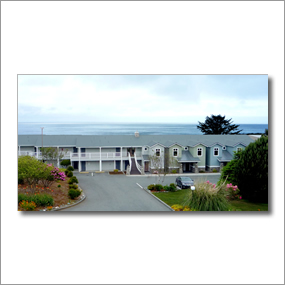 The Pacific Reef Resort offers a large selection of oceanfront lodging and vacation rentals located in and around Gold Beach. From standard and luxury guest rooms to one bedroom condominiums to a two bedroom apartment, you'll find lodging to suit most needs and budgets. 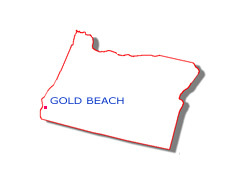 Gold Beach is surrounded on the landward side by old growth forests. There are many trails to explore just minutes from town including the Myrtle Tree Trail which winds its way up to the largest Myrtle tree in existence. The Kalmiopsis Wilderness comprises 180,000 acres located in the Siskiyou National Forest of Southwest Oregon.